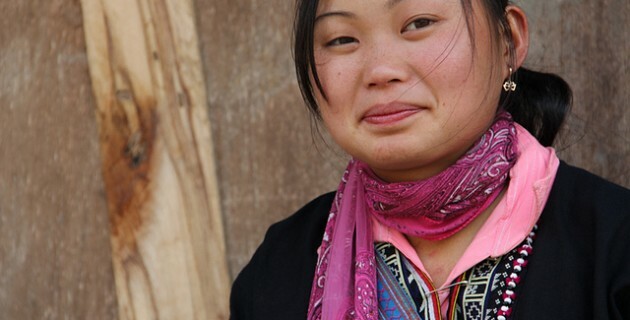 Women of Ta Phin 5: Ly Ta May - A series of images and tales from Viet Nam. Ly Ta May is the daughter of Mrs Ly Man May our homestay host in Ta Phin. She no longer lives at home. 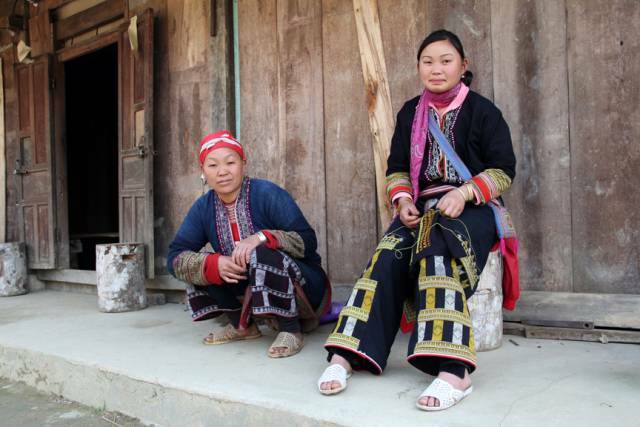 After marrying Red Dao women are expected to go to live with the husbands family. Ly Ta May never spoke directly to us, she was shy and quietly spoken. She had come 'home' with her husbands permission. She missed her mother terribly. Just to be in each-others presence, embroidering, watching the village children play brought them an easy familiar joy. 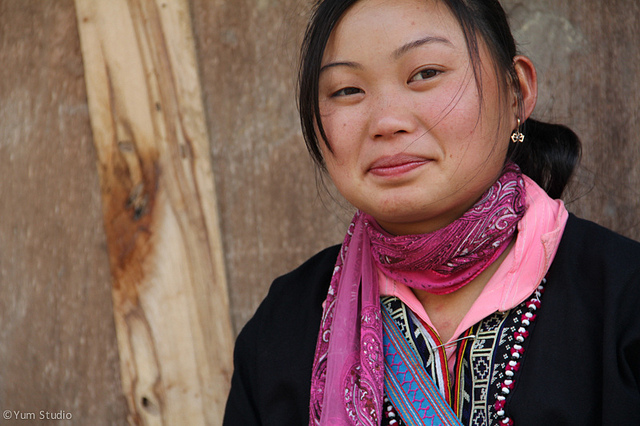 There are more images of the women of Ta Phin on this blog, you can sign up in the form at top right. Next week we release our film. 4 Responses to "Ly Ta May – a world apart"
hey erin. collected my print/script from lynden recently. temple. thankyou. Beauty & peace. But fancy living with the in laws??? 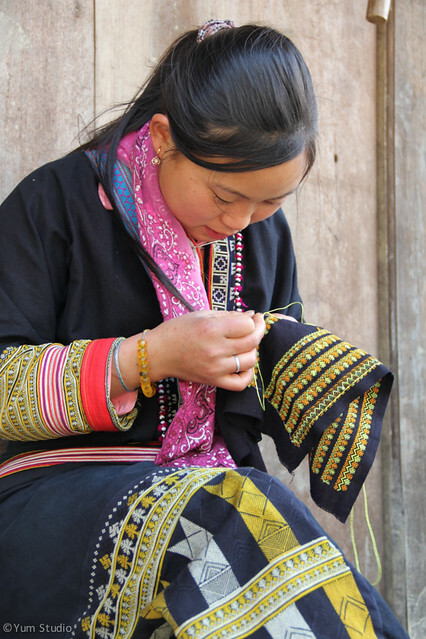 So glad people bought the prints to support the women of Ta Phin. May it bring you as much happiness as it was for us to take them. Thank you for your support Laurene. Agree with that Louise the village is beautiful and peaceful. The women of TaPhin live traditionally and support each other, its a difficult separation for Ly Man May and Ly Ta May, however they were very happy to see each other and talked long into the night that we were there.